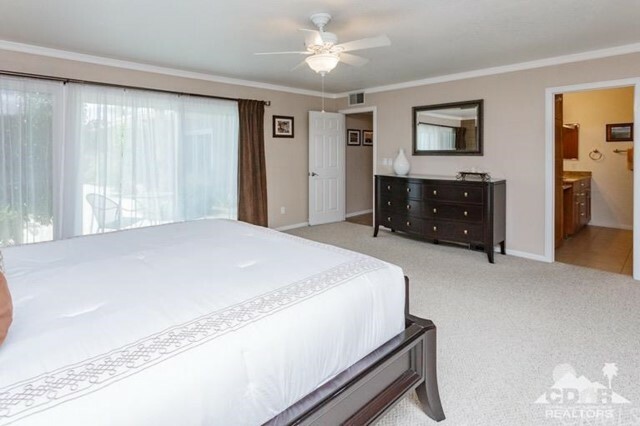 Seller will entertain offers utilizing crypto currency. 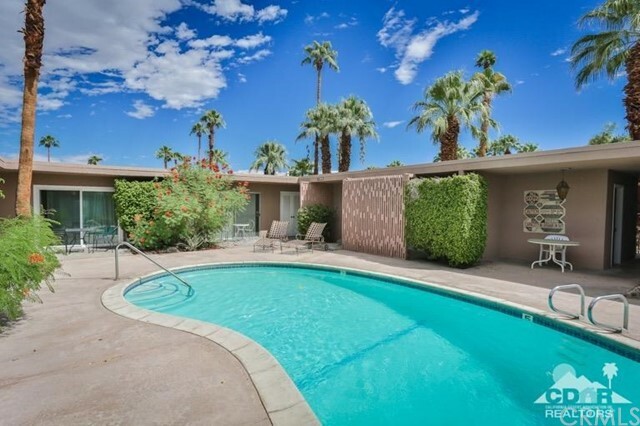 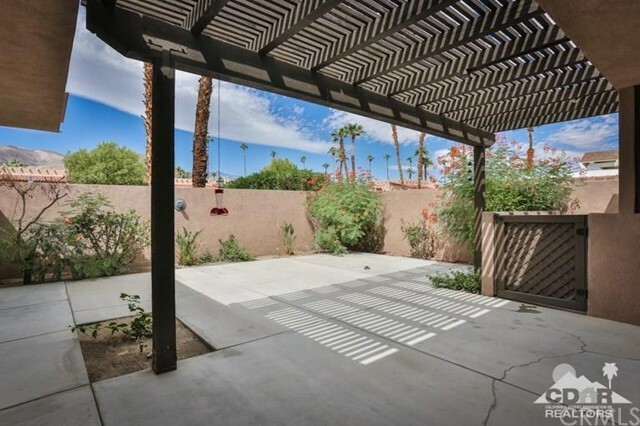 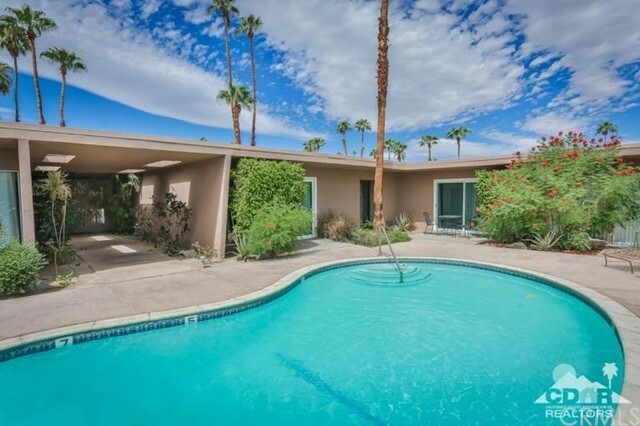 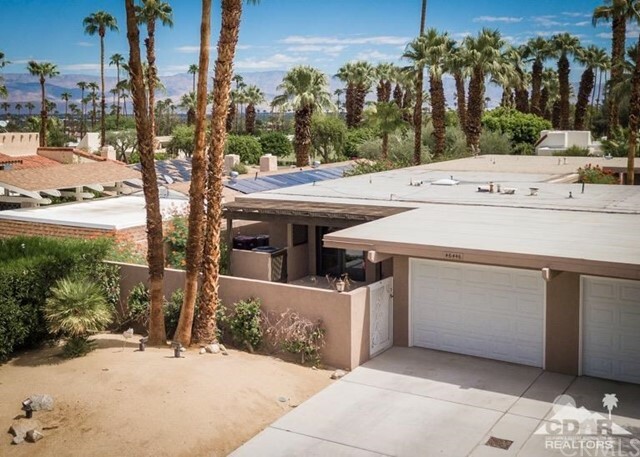 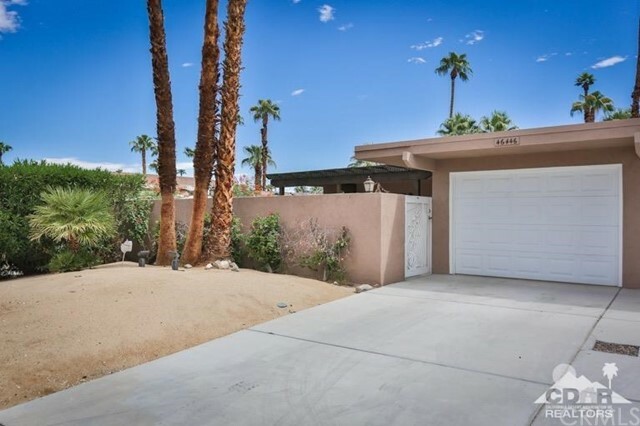 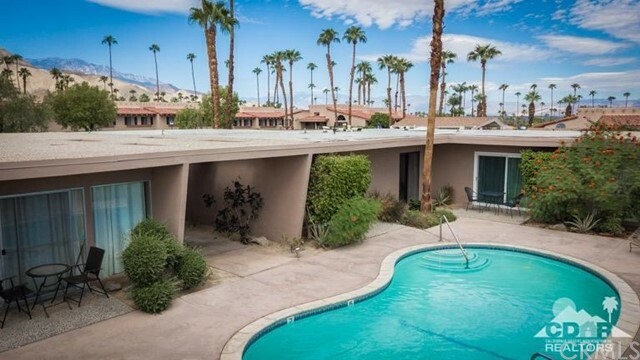 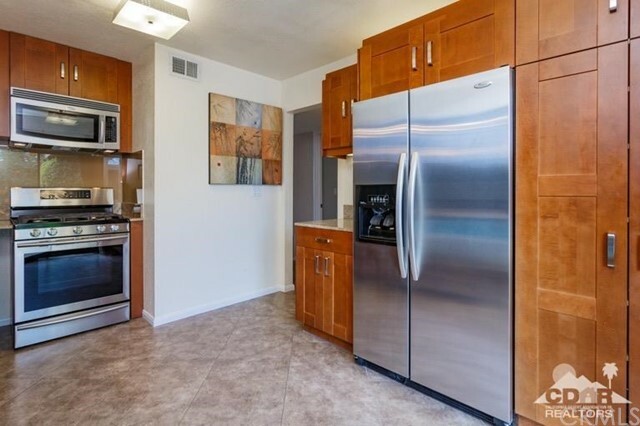 Enjoy stunning mountain views from this remodeled 2 BD, 2BA Mid-Century condo in desirable South Palm Desert. 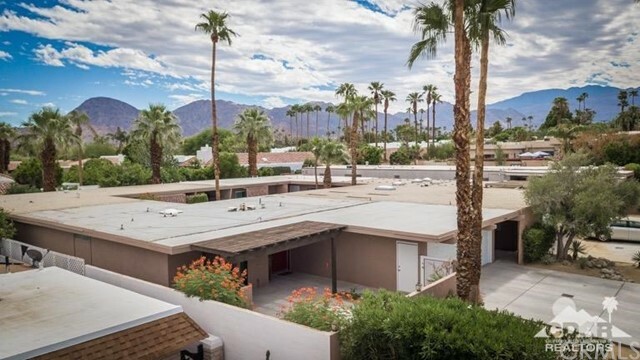 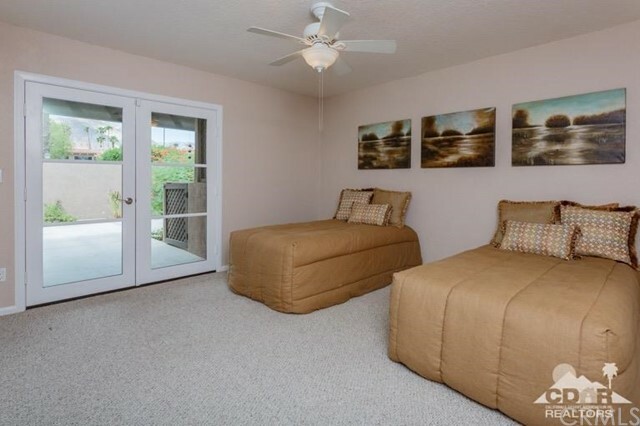 Located in a complex of only 4 units, this spacious condo is move-in ready with neutral tones & desert modern style. 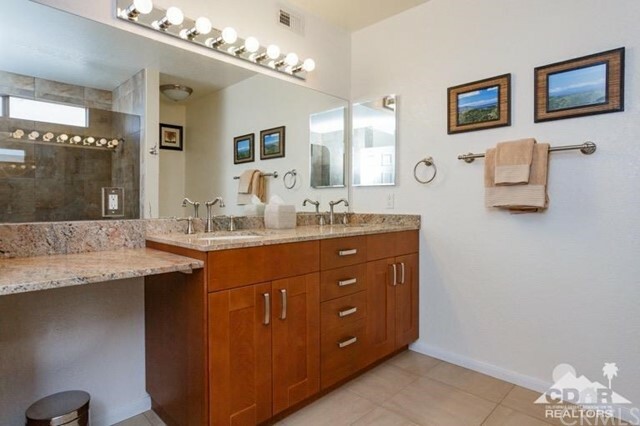 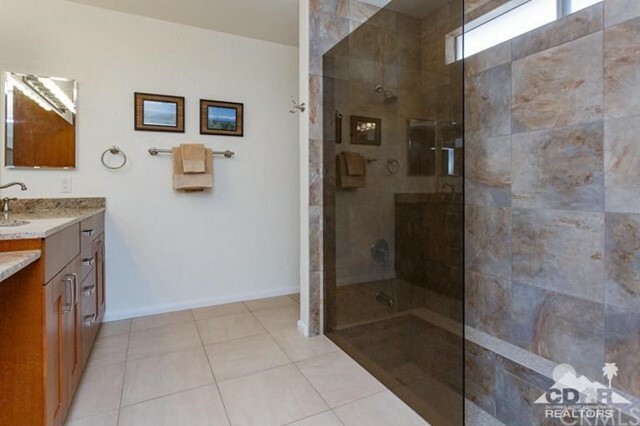 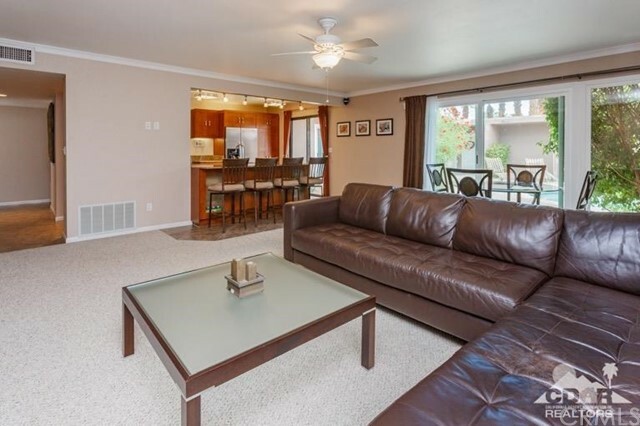 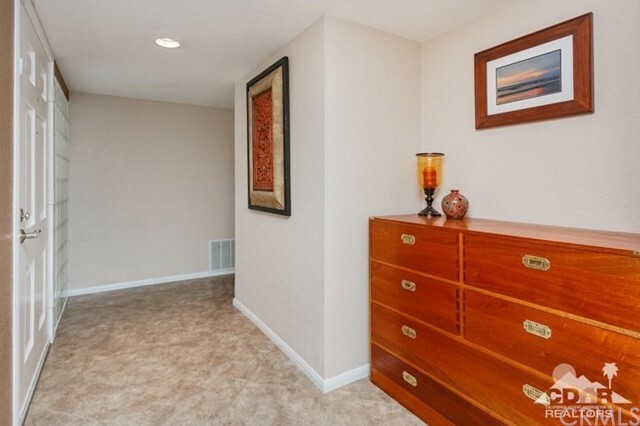 The open floor plan has upgraded lighting, porcelain floor tile & carpet. 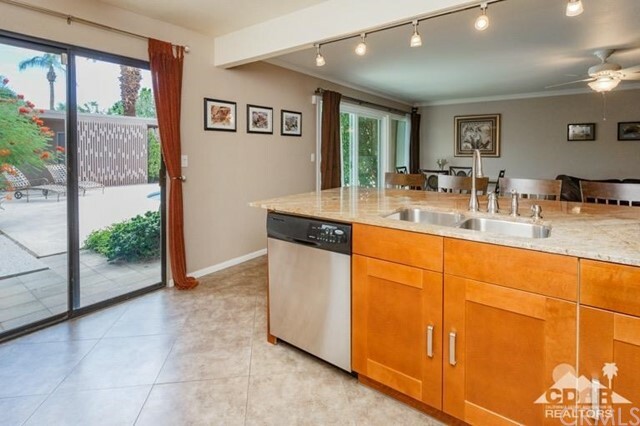 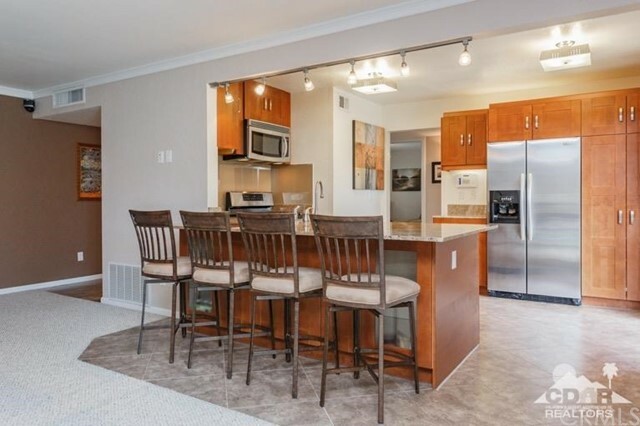 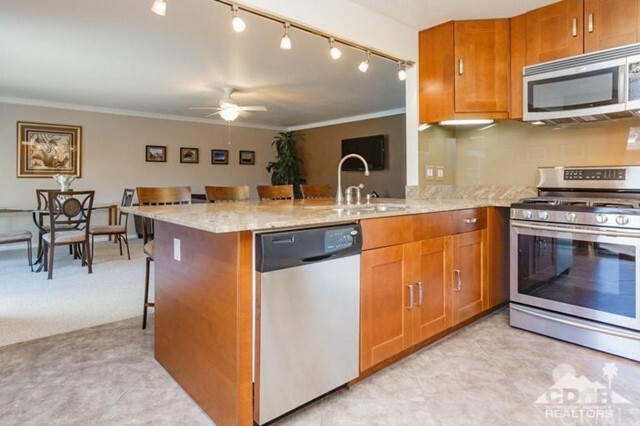 A kitchen perfect for entertaining, features upgraded granite, modern cabinetry & a bar island. 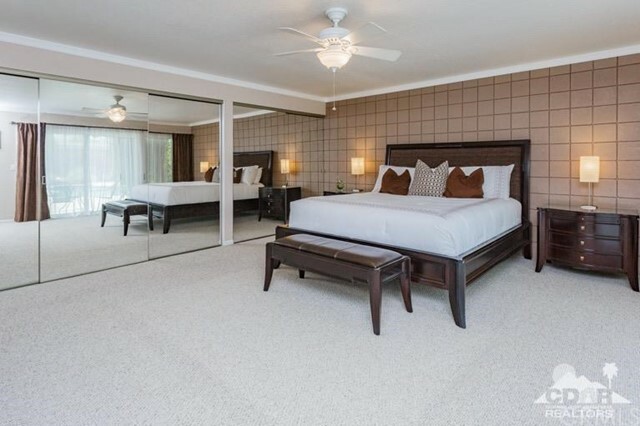 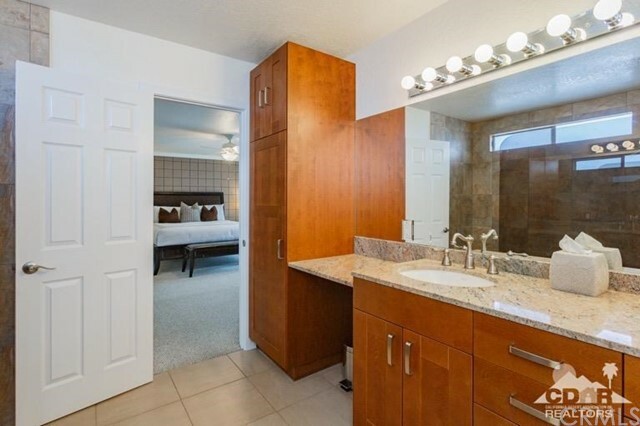 The master bedroom has a wall of storage closets, an original mid-century block wall, and an on-suite with dual vanities, sunken tub & shower. 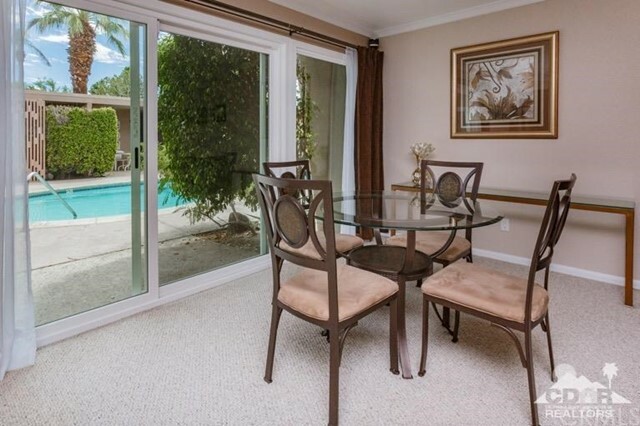 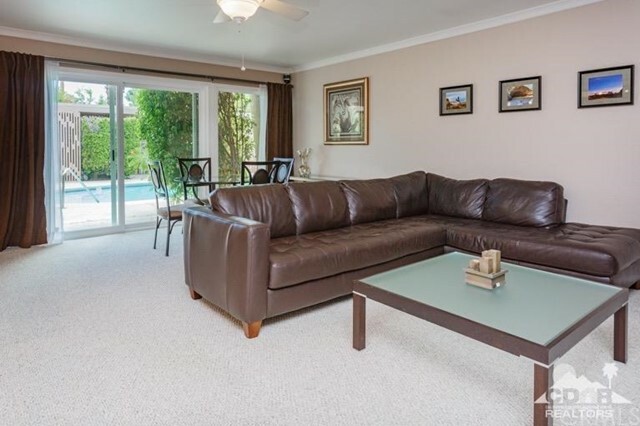 Enjoy the outdoors with direct access to the community pool, or on the enclosed & covered private courtyard. 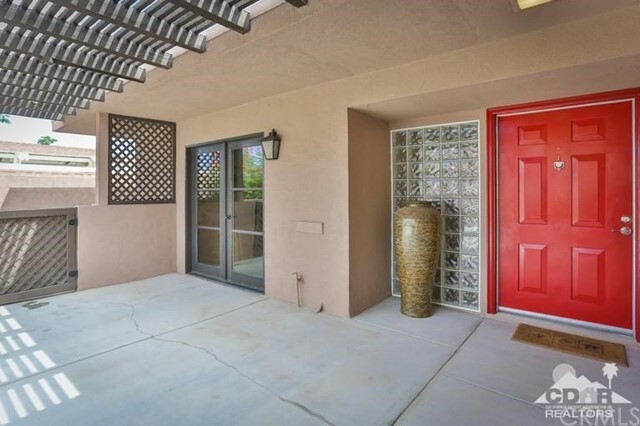 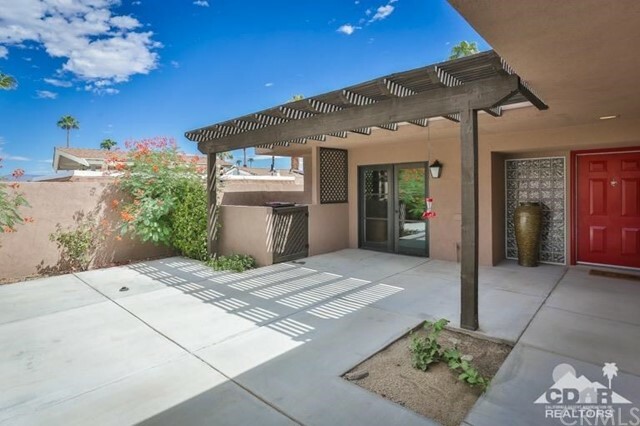 Within walking distance to El Paseo's exclusive dining and shopping, this property is perfect for desert living at it's finest.